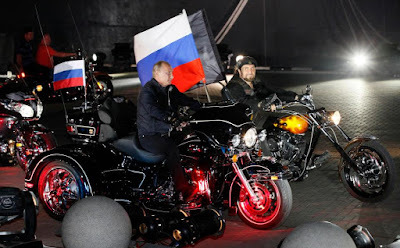 Putin often dons leathers to ride with the Night Wolves, or Nochniye Volki. 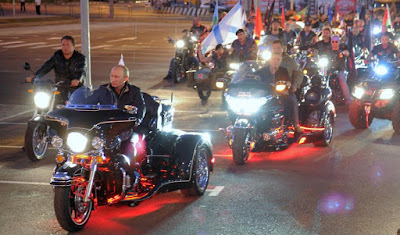 The Night Wolves vows its 5,000 members would die for Putin. Their manifesto rejects most laws and the "warriors of the road" say they are on a mission to save Mother Russia, particularly from "gays and feminists." 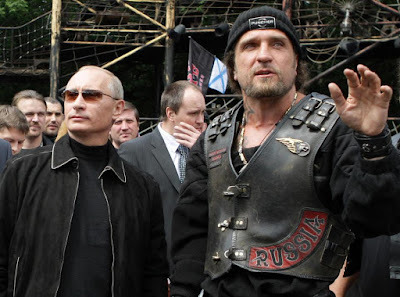 Putin with leader Alexander 'The Surgeon' Zaldostanov. 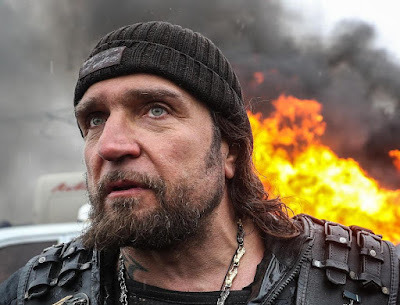 The biker club has reportedly received more than $1 million from the Kremlin In 2014, the Night Wolves stormed a naval facility in Crimea, with Zaldostanov personally overseeing “the confiscation of Ukrainian weapons.” He was later awarded a medal by Putin for his actions.